This registration type is for the primary community for Bluegrass IIBA Chapter. 2. Attendees from other IIBA Chapters in OH, SC and TN. This registration type is for community members of our sister chapters in Ohio, South Carolina and Tennessee. If you attend events at Cincinnati, Columbus, Cleveland, Palmetto, Nashville or East Tennessee IIBA Chapters, please come be our guest for our webinar series. 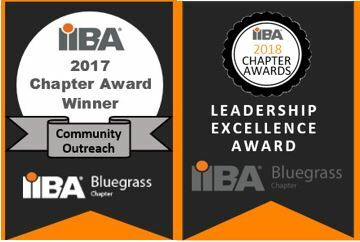 This registration type is for the secondary community for Bluegrass IIBA Chapter. This is for people who work and live in America, but outside of Kentucky, Indiana and Vermont. Please feel free to join us for our webinars; however, if something comes up that you are unable to attend there are no refunds. This registration type is for guests of Bluegrass IIBA Chapter. You are welcome to join us for our webinars; however, if something comes up that you are unable to attend there are no refunds. This is a free online chat session for our primary community with one of our CBAP® recipients. The CBAP mentor will tell you of their journey to become IIBA® Certified, provide tips & tricks on anything related to IIBA Certification from the application process to re-certification. Anyone interested in ECBA™, CCBA® or CBAP® certification is welcome to come and ask questions of our CBAP mentor. Bill Phillips is a CBAP® Certified Business Analyst and IIBA® member with over 30 years of experience delivering value to his client base. His engagements have included a wide variety of business sectors including retail petroleum, higher education, hardware, life and health insurance, public health and highway transportation. He has focused on Agile delivery since 2013 and has served as a Product Owner on multiple international teams simultaneously. 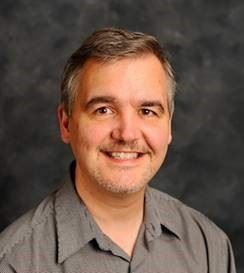 He is currently preparing to take the new IIBA Agile Analyst Certification, as an early adopter of its principles.